Tenants beware: the homeowner can sell his property even if it happens to be leased out to a tenant. However, this is good news for those that own a sectional title whom are no longer able to pay off their mortgage, bond or levies. Levies are paid by the owners of the sectional titles belonging to a scheme. Sometimes an owner is unable to pay the levies and/or pay off his/her mortgage and will then be required to sell. However, what if the sectional title is currently being rented to a tenant? There is nothing that legally prevents the owner from selling their property to another party in such an event. In this case the new owner is made aware that there are tenants living on their property, and that the tenants have the right to stay on the property until the time that their lease agreement is up. 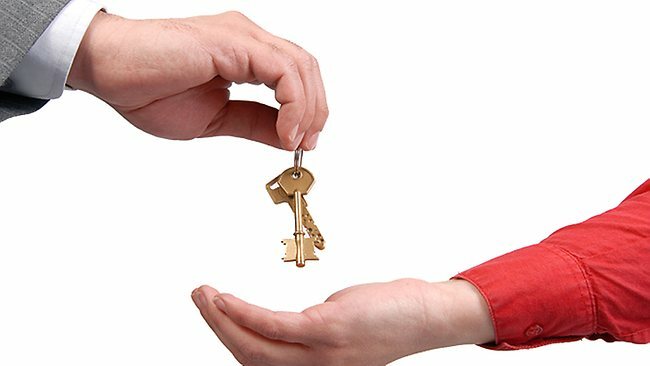 Tenants must ensure that they find out from the new owner whether or not the owner will extend the lease or offer a new lease agreement. It is important that tenants make plans to find alternative accommodation in case the owner intends to move in himself, or if they feel they will be uncomfortable with the new agreement. The buying of the house by the new owner doesn’t release tenants from their responsibilities either. Any changes to the lease will need to be made by the tenants and the new owners before the sale is made. Tenants are expected to continue paying the lease as normal until their contract period expires, otherwise penalties will be issued. There are no requirements that need to be fulfilled by the old owners after the point of sale. If you’re an existing home owner or owner to a sectional title, if you’re a tenant, or if you are a head of body corporate of a sectional title, then make sure you acquire the services of a skilled and experienced debt collection and sectional title attorney. Ivan Zartz Attorneys are on hand to assist you under any circumstances. Contact us today! Where a close corporation or a company owns the immovable property, and where the arrears and utility fees are in excess of R50, 000.00, my suggestion is to apply for the liquidation of the close corporation or company owning the unit. A company or close corporation is deemed unable to pay its debts if after a letter of demand has been sent to the registered office of the company or close corporation, demanding payment of the debt, (which letter must be served by the sheriff) and more than 21 days has elapsed from date that the letter has been sent and no payment or response has been received. A company is also deemed unable to pay its debts if there is a written or oral admission by a representative of the finance credit department of the debtor that the company is unable to pay, because it has cash flow problems. How does an inability to pay assist in the collection of levies owed by a close corporation or company? to the registered office of the company or close corporation and wait for 21 days for a response. In my experience, most directors of companies or members of close corporations do not respond to the letter and one can then commence liquidation proceedings. Of course, one can always contact the director or member, and if the attorney is advised by the director or member that the company or corporation is unable to pay, and asks for an extension of time, then, in certain cases, particularly where the arrears are high, the oral admission by the director or member is sufficient to begin the liquidation process. The upshot of both of these processes is that these are severe measures, which ultimately force the owner to come to an arrangement, or lose the property, since the liquidator steps into the shoes of the owner. Again, in liquidation, the property cannot be transferred until the new purchaser pays the arrear levies and legal costs. I have found that if one can agree a fee with one’s client for the sequestration or liquidation, one can ultimately collect the costs from the debtor, as in most cases the debtor is under pressure not to lose his property. Alternatively, if a trustee or liquidator sells the immovable property, the body corporate can furnish the conveyancer with the legal costs, which can be included in the conveyancer’s clearance certificate, and which costs the new purchaser must pay. Finally, to revert to the dilatory owner who defends matters with no genuine defence, but merely in order to buy time, one should consider partially reducing his electricity, so that he can utilise basic electricity. There is a new decision in the South Gauteng High Court, which deals with reducing the owner’s electricity, but whether this will be followed is uncertain at this stage. This process is one, which should be exercised with caution. The collection of levies from owners in members of sectional title units are the bane of the lives of most managing agents and trustees of bodies corporate. The most common way of collecting levies is by way of the issue of summons. In other words, the managing agent instructs an attorney, on behalf of a body corporate, once the account of the owner goes into arrears, to issue summons for the arrears outstanding on the unit. This method is still widely used in collecting outstanding arrears, but is beset with pitfalls of a practical and dilatory nature. Once a summons is served, it presently takes anything from two to three months to obtain a judgment, that is, if one is fortunate, by which time the owner has fallen further into arrears. One used to be able to obtain a judgment and execute (attach) within a month. However, particularly in the Johannesburg Magistrate’s Court, it is now becoming more difficult to obtain a judgment because of administration difficulties. Managing agents and trustees should be mindful of this fact. Some unscrupulous owners instruct creative attorneys to defend a summons for the purpose of delaying the payment of the arrears. This incurs unnecessary legal costs. The owner really does not have a defence and by the time the matter comes to court, the levies are substantial. It should be borne in mind that presently, it can take anything up to eighteen months for a case to be heard in court. During this period, invariably no levies or utility fees are being paid but there is a way to deal with such owners. Once a judgment is obtained, the next process is to attach the movable assets of the owner. Trustees of bodies corporate should be aware that they should, at all times, be in possession of the current address of the owner. It is no use instructing the sheriff to attach the movable goods in the unit, as often the units have been rented, and the movable property, i.e. the furniture and appliances, belong to the tenant, unless the unit is let fully furnished. It often happens that the sheriff finds insufficient movable assets to attach at the owner’s residence. Many practitioners then proceed to instruct the sheriff to remove the goods attached and subsequently arrange for a sale in execution to take place. It is my view that this method wastes time and money in that, pending the sale of the assets, they are stored at the sheriff’s warehouse at considerable expense, which expense must be borne by the body corporate. The proceeds from the sale of the movable assets are often insufficient to cover the storage costs and removal costs, which increases the costs and claim even further. Ivan Zartz Attorneys have their own alternative process to address this situation. Simply apply for a consultation by using the Message Form on the right of this page. Some attorneys bring an application to sell the owner’s immovable property. This takes time and often, by the time that the court authorises the sale, there is already a judgement against the immovable property of the bondholder. Bondholders control the sale of the immovable property, in that they can dictate the price at which the property is to be sold. The body corporate has no say when the sheriff sells a property. Ultimately, when the bondholder has consented to the sale, the new owner will have to pay the arrears owed to the body corporate and the legal costs in full, as transfer of immovable property will not take place in the absence of a clearance certificate being issued by the managing agent. Once again, Ivan has his own workable solution to this challenge, but you need to consult with him!